Former Starbucks CEO Howard Schultz greets students after speaking at Purdue University in West Lafayette, Indiana, on February 7, 2019. Schultz isn’t solving America’s problems. He’s reinforcing them. 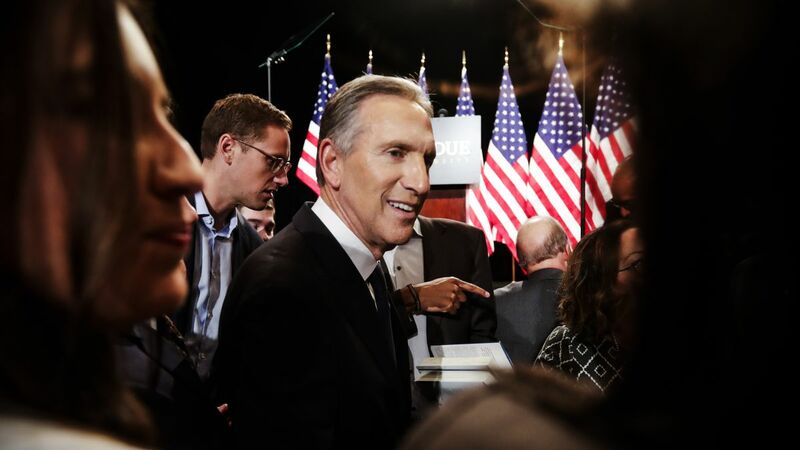 On Tuesday night, CNN hosted a live town hall with former Starbucks CEO and potential presidential candidate Howard Schultz. It didn’t go particularly well. Schultz’s answers were largely vague, with occasional lapses into absurdity (“I didn’t see color as a young boy and I honestly don’t see color now,” Schultz said when asked about race). But more interesting than the town hall’s content was its existence. Lots of people with no base of political support would like to run for president, but they can’t, because the media wouldn’t take their candidacies seriously. So why is Schultz, a political newcomer who “had the worst numbers of any potential candidate tested” in CNN’s own poll, getting such red-carpet treatment? The answer, of course, is money. Schultz is a billionaire, and in American politics, money is a shortcut to legitimacy. But just because you can self-fund a presidential campaign into relevancy, it doesn’t mean doing so is a good idea — for you or the issues you care about. What I want to do here is take Schultz’s account of our political problems seriously, and show that if Schultz believes his own diagnosis, he’s flirting with a strategy that’s likely to make everything he’s worried about worse, and demonstrating a disqualifying level of confusion about how the American political system works. I should note that I tried to schedule an interview with Schultz to discuss these questions with him directly, but after initially agreeing, his team backed out. It’s a conversation I’d still be happy to have if they change their mind. 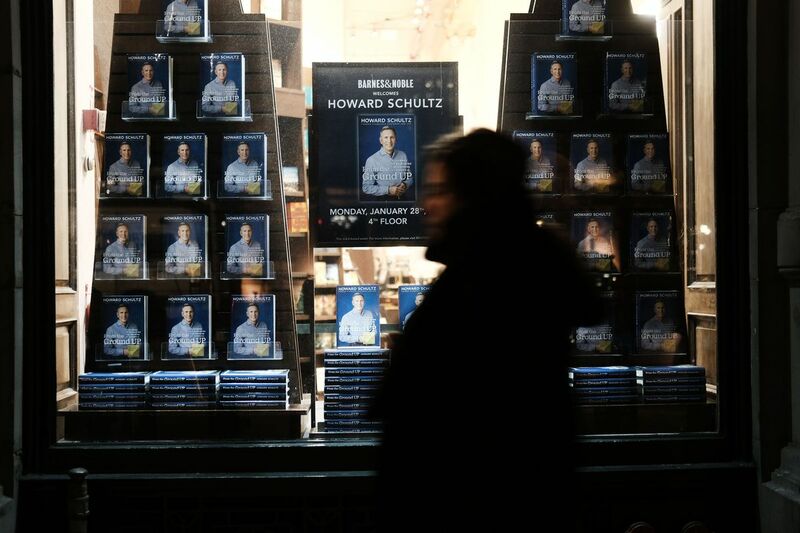 From the Ground Up, the new book by Howard Schultz, at a Barnes & Noble bookstore on January 28, 2019, in New York City. The rest of the speech is a litany of policy issues in which Schultz names a problem (immigration, health care), lays out a caricatured version of the “far left” and “far right” solutions, as if that actually represents the debate, and then offers a few sentences on what he would do instead. We must make our education system more-nimble, more advanced, and driven by innovative new ideas. True reform requires everyone at the table: students, parents, educators, administrators, unions, charters, parochial schools and businesses. At the core of Schultz’s diagnosis is the idea that America’s two-party duopoly is distorting politics and leaving Americans unrepresented, good ideas unnoticed, and policy problems entrenched. “People lose faith in democracy when they feel their vote doesn’t count, and their voice is not heard,” he says. Schultz identifies two issues here. One is the way politicians get elected, which is where the two-party system gets constructed, and the other is the way policy gets passed, which is where the two-party system holds back progress. We’ll take them in turn. In political science, there’s an idea known as Duverger’s law, which states that winner-take-all election systems lead to two-party political systems and proportional representation systems lead to multiparty political systems. The reason is simple enough. In a system where the only thing that matters is who gets the most votes, smaller parties will enter into coalitions large enough to win the most votes, or they will die off. In a system of proportional representation, where 15 percent of the vote can get you 15 percent of the seats, smaller parties can survive and even build strength without ever winning the most votes in an election. Schultz says it is “intellectually dishonest to suggest that either party’s candidate could lose because of a third choice,” which suggests that he either doesn’t know what the term “intellectually dishonest” means or is being intellectually dishonest. But the way a party could lose because of a third-party candidate is perfectly obvious. Schultz’s agenda is basically Barack Obama’s agenda, or Chuck Schumer’s agenda, and, in theory at least, he can be expected to take votes from the Democrats. Imagine an election conducted under proportional rules, where Donald Trump gets 40 percent of the votes, the Democratic candidate gets 38 percent of the vote, and Schultz gets 22 percent of the vote. In that election, Schultz and the Democrats get 60 percent of the vote and, given their zones of policy agreement and mutual antipathy toward Trump, can enter into a governing coalition. In the American system, by contrast, Trump wins the election despite getting fewer votes than the two left-leaning candidates combined (I’m ignoring the Electoral College for simplicity, but you can replace the word “votes” with “Electoral College votes” in this analysis and there’d be no difference). And that, by the way, is roughly what polling Schultz’s own team sent me shows would happen if he enters the election. In head-to-head polls that don’t include Schultz, the various Democrats — including Kamala Harris and Elizabeth Warren — lead Trump by significant margins. But according to the memo Schultz’s staff sent reporters, in head-to-head polls that do include Schultz, Trump wins. This is not to say Schultz is wrong about the problems of two-party political systems. I’d prefer a proportional representation system, for all the reasons my colleague Matt Yglesias outlines here. Since a system like that could threaten both Republicans and Democrats, if it’s going to happen, it’d need something like a committed billionaire funding a massive reform effort over a long period of time. But rather than engaging in the hard, slow work of electoral reform, Schultz is just running his own campaign for the presidency, a project that would likely set back the cause of third parties by reelecting Trump. In 2000, Ralph Nader ran as a third-party candidate with a much more sophisticated view of the electoral system, and much more party infrastructure backing him, than Schultz has, and his candidacy helped elect George W. Bush. As a result, a generation that might’ve been open to Green Party candidates in a multiparty system grew up blaming them for the outcome of the 2000 election. Nader’s candidacy weakened the Democrats, but it strengthened the two-party system. The obvious counterargument is that the risk is worth it because Schultz could win the presidency, and if he did that, then he could just pass a bunch of laws reforming our electoral systems himself. 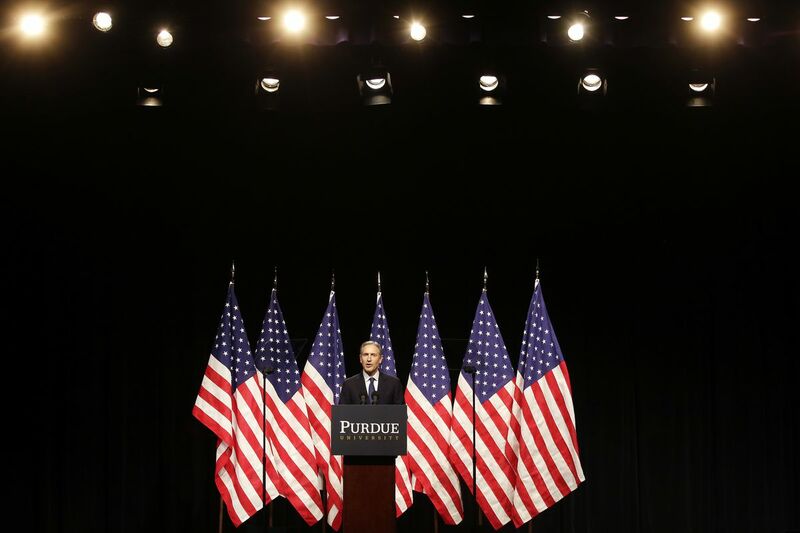 In his Purdue speech, Schultz says that an independent president could fix America’s problems because they wouldn’t “beholden to special interest groups and extreme party ideologies.” Elsewhere in the speech, he argues that an independent could break America’s gridlock on key issues by offering the kinds of solutions you just don’t get in a political system dominated by the far left and far right. Howard Schultz speaks to students at Purdue University on February 7, 2019. What other consequences are there of a hyper-partisan Washington DC that we are living through? Today, millions of American people are living in fear of losing healthcare or going bankrupt if they get sick. The far Left has called for government-run healthcare, even eliminating the private health insurance market. The far Right has called to repeal the Affordable Care Act for nearly a decade, with no clear replacement, which would leave people vulnerable, especially those with pre-existing conditions, and costs would absolutely skyrocket. Once again, neither is a viable solution. What’s the truth? The truth is that healthcare costs are the biggest driver of unaffordable care. Yet neither side, extreme left, extreme right has offered and developed any kind of credible plan to reduce costs by increasing competition. Or requiring more transparency on prices from hospitals and drug companies. Or investing in preventive care. This is a problem that can be solved. We must bring down healthcare costs while increasing choice and access. The American people deserve so much more than the broken two party system is providing them. This is wrong in a few ways. One way it’s wrong is factually. Washington is thick with plans to reduce health costs by increasing competition, by requiring pricing transparency, by investing in preventive care. A lot of this was actually done in the ACA itself, and there are plenty of plans floating around to build on those elements of the Affordable Care Act without abolishing private insurance. But the other way it’s wrong is conceptually. Schultz is a successful CEO, and as businesspeople often do, he is looking at politics as if the president is the government’s CEO. His pitch to the American people is the same as it would be if he was pitching to run a company: “What it will take is something sorely missed in Washington D.C. these days: that’s where I started, and that’s leadership.” His view is he’ll come in, get some smart people in the room, propose the kind of moderate ideas currently being drowned out by the ideologues, and solve all the problems. 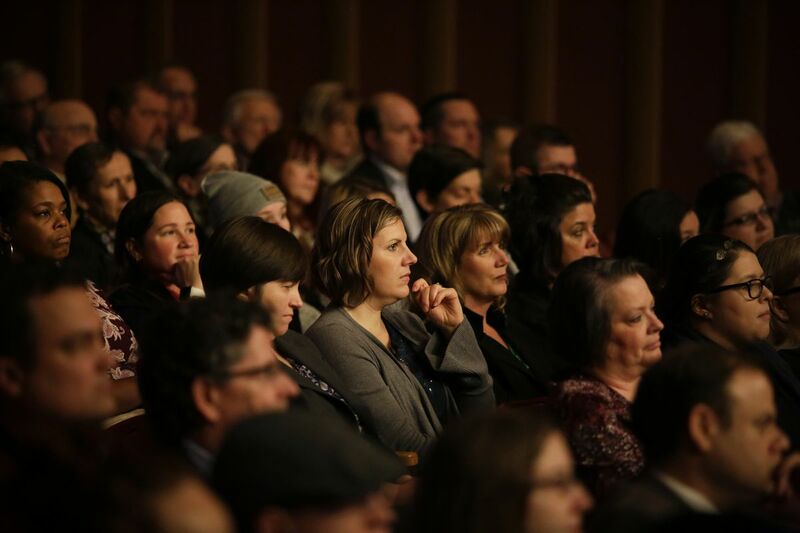 Attendees listen Howard Schultz speak at Purdue University on February 7, 2019. But the government is not a corporation, the president is not the CEO, and the US Congress doesn’t work for whoever occupies the White House. All the ideas Schultz has offered require legislation to become law. So who is going to introduce his legislation? He can’t do it, because the president doesn’t have the power. Who’s going to vote for his legislation? Legislators from both parties would see him as a critic and a threat. Even if everything goes exactly as Schultz hopes, he’ll have just won a presidential election by running against both the Democratic and Republican parties and their tired ideas and senseless ideologies; now they’re going to write his bills for him and give him the votes to pass them? The government isn’t like a company. The people Schultz would be asking to pass his initiatives wouldn’t be in his employ; they would be in competition with him, and he would have gotten his job by criticizing and defeating them. Whatever the flaws in Schultz’s theory of the presidency, he has no theory of Congress at all. He isn’t doing the hard work of building a new political party or recruiting congressional candidates to run on his ticket. He also isn’t doing the difficult work of running in the Democratic primary and trying to change the party from within, as Bill Clinton did in 1992 and Bernie Sanders did in 2016. Schultz may not like the idea of political parties, but they exist for a reason, they play a central role in passing legislation, and a presidency divorced from a theory of how to pass legislation is not going to be a presidency that solves America’s toughest problems. He frames the villain as political parties, but political parties are far more responsive to voters than the problem he embodies but doesn’t discuss: money. Schultz is taking what Mark Schmitt calls “the billionaire express lane,” and it’s at least as poisonous to representative democracy as anything the two parties might do. 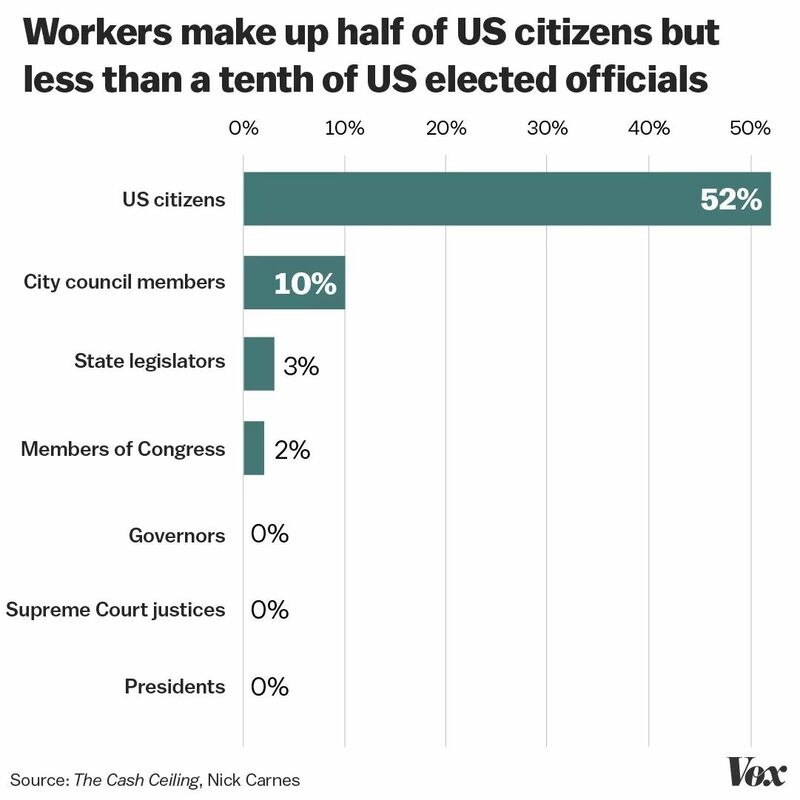 The political scientist Nick Carnes has done painstaking work looking at the representation of different economic classes in American politics, and he finds that there’s arguably no class as badly underrepresented as the working class, or as overrepresented as the rich. But Schultz, for all his concern about political representation, isn’t talking about the way money distorts representative democracy, or the way his own wealth might influence his ideas. Nor is he proposing solutions to the way money warps representative democracy. What he is doing is embodying the way money distorts representative democracy. He is America’s money-in-politics problem in human form, and he evinces no self-consciousness about this even as he claims to be running to improve political representation. It’s breathtaking. At Starbucks, Schultz really did build a company that is kinder to its workers than most, and I take him at his word that a similar impulse motivates this effort. But what is clear is that for all Schultz’s public spiritedness, he has not done the work to understand the problems he decries, or to consider where he could do the most good in fighting them. As of now, Schultz’s campaign is long on ego, short on answers, and so confused about the dynamics of American politics that it threatens to worsen every problem he claims to worry about. 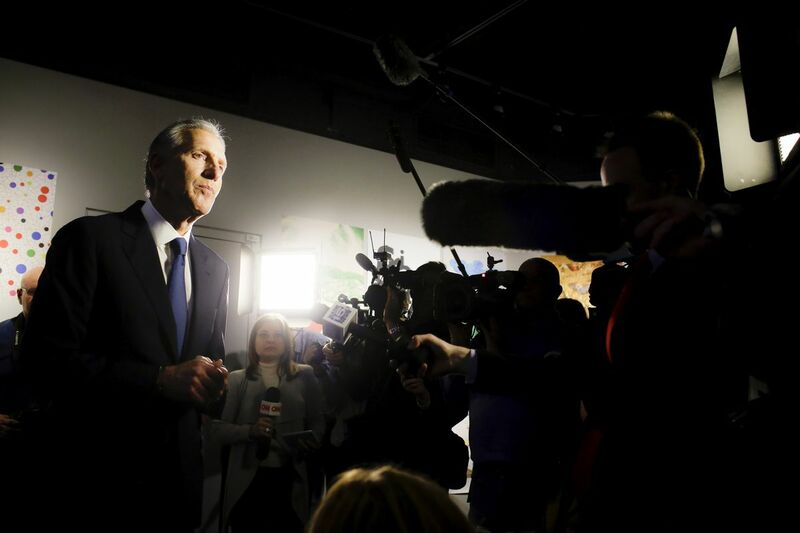 Howard Schultz is questioned by reporters after speaking at Purdue University on February 7, 2019. Running as a third-party candidate in a first-past-the-post election system is likelier to reinforce the two-party duopoly, and the dangers of third parties, than to open America to multiparty democracy. Governing as a “centrist independent” free of party would generate gridlock and conflict in a system that is organized around political parties. And taking the billionaire express lane into presidential politics, just a few years after Donald Trump did the same thing, would be further proof to Americans that they live in an unrepresentative oligarchy and the socialists arguing the entire system is rotten have a point. Schultz says the definition of leadership is “making tough choices for unselfish reasons.” He may think that’s what he’s doing, given the blowback he’s experienced, but it isn’t. The tough choice is the slow, difficult, often frustrating work of organizing toward true political change. The unselfish choice is the one that doesn’t posit himself as the answer to all of America’s political problems, that doesn’t pretend American politics was just waiting for a better billionaire to ride in on his magnificent steed, that takes seriously the mechanics of the system he hopes to reform. In response, Wayne turns to directly face his butler. “I want to dress in a bat costume and punch individual muggers,” he growls. This is more or less what Schultz is attempting. The country could use some public-spirited billionaires who believe what Schultz, at least, claims to believe, and are willing to put the time and money into true political reform. What it doesn’t need is more billionaires who just want to jump into politics and break things.